Semi-Auto Tyre Recycling line(Zhengyang Machinery:ｗｗｗ．ｔ ｉｒｅｒｅｃｙｃ� ��ｅｍａｃｈｉｎ� �．ｃｏｍ)main difference to Fully-Auto Tyre Recycling Line, the main difference is that a Semi-automatic tyre recycling system in terms of tyre cutting, need to add more manual labor, compared with the automatic Tyre Recycling system equipment price is low, can choose according to the customer's own specific conditions. Tire need to be cut circle, wire cutting, cutting, grinding processing, and then to gel breaking milling. 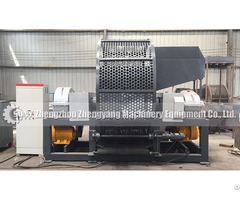 Semi-automatic tyre recycling system is a complete system, including the main equipment, Circular Cutter, Cable Pounder, Slitter, Dicer, Rollers Rubber Mill, Fiber Separator, if you want to put the tyre powder size smaller, can increase the Millstone Grinder(Micro rubber Grinding Unit), Centrifugal screen machine. The whole system design is simple, easy to maintain and repair. 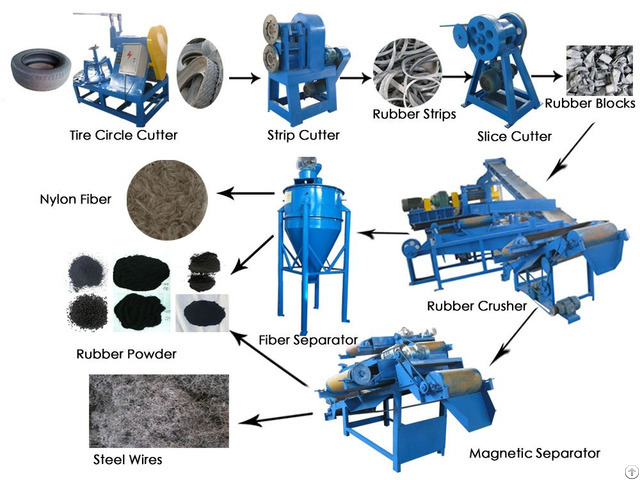 By Tyre Recycling Equipment, get the final product is rubber powder, fiber and steel wire, concrete rubber powder fineness (mesh) can be processed according to the needs of customers. 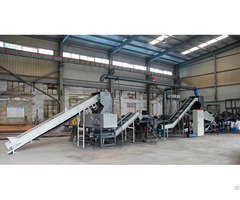 We can offer different capacity of waste tyre recycling line from 500 kg/h, 800 kg/h, 1000 kg/h and 2000 kg/h. The rubber powder size 10, 20 mesh, 30 mesh, 60 mesh, 80 mesh, and the Max 80 mesh.